Do you have an interest in Lake Ontario? You are here: Home / Events of Interest / Do you have an interest in Lake Ontario? Great Lakes Action Agenda using a place-based, ecosystem-based management approach. institutions and other key partners to advance local project needs. LEVERAGE resources and expertise to address shared watershed challenges and goals. PREPARE! Develop competitive project proposals in advance of tight RFP deadlines. SCALE UP YOUR WORK by pursuing landscape-scale projects with work group partners. Please let the work grouo know if you can make it! RSVP to greatlakes@dec.ny.gov at least one week in advance of the meeting you plan to attend. Please indicate which work group meeting you’ll be attending. 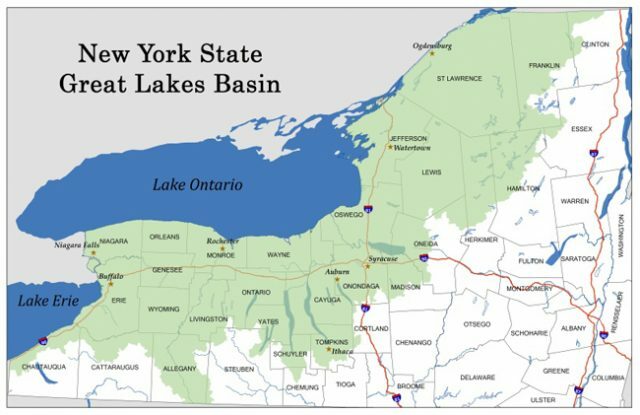 to achieve the goals of NYS’s Great Lakes Action Agenda (Review Agenda at http://www.dec.ny.gov/lands/91881.html). HOW? Sub basin work plans and project teams will be developed to focus, organize and advance multi-stakeholder projects in support of the GLAA.